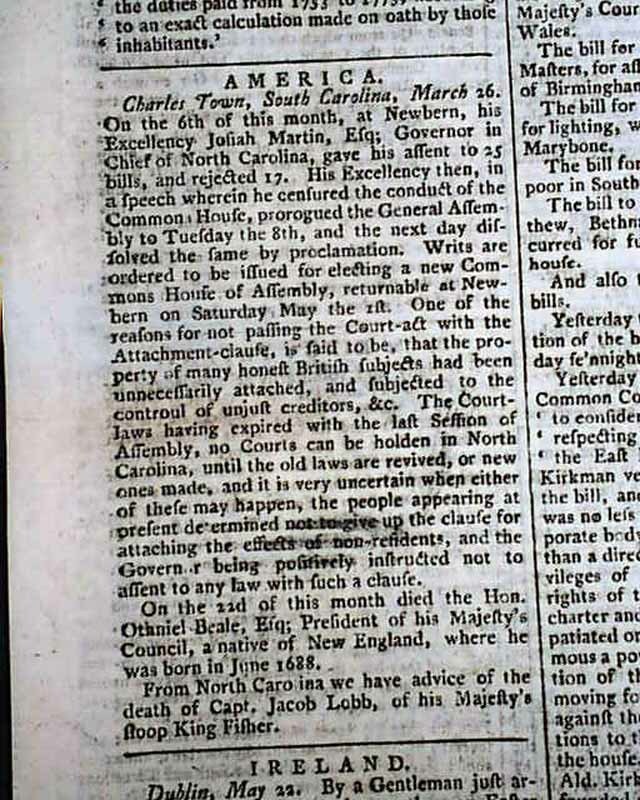 THE LONDON CHRONICLE, May 29, 1773 Inside has a report headed: "America" with news from Charleston including mention that: "...his Excellency Josiah Martin, Governor in Chief of North Carolina, gave his assent to 25 bills & rejected 17. 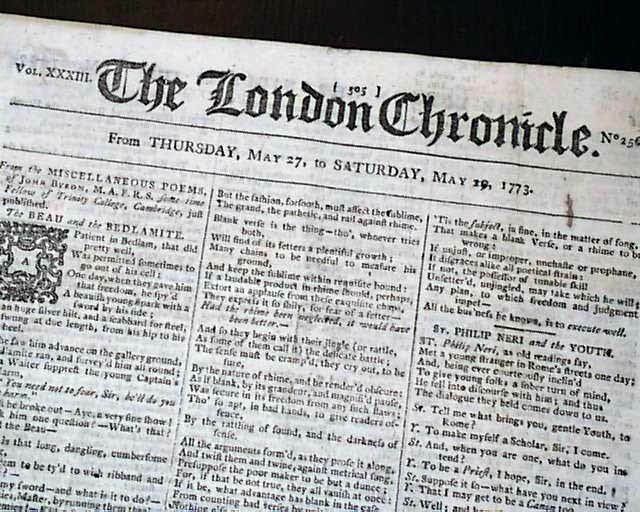 His Excellency then...censured the conduct of the Common House, prorogued the General Assembly...& the next day dissolved the same by proclamation..." with more (see). 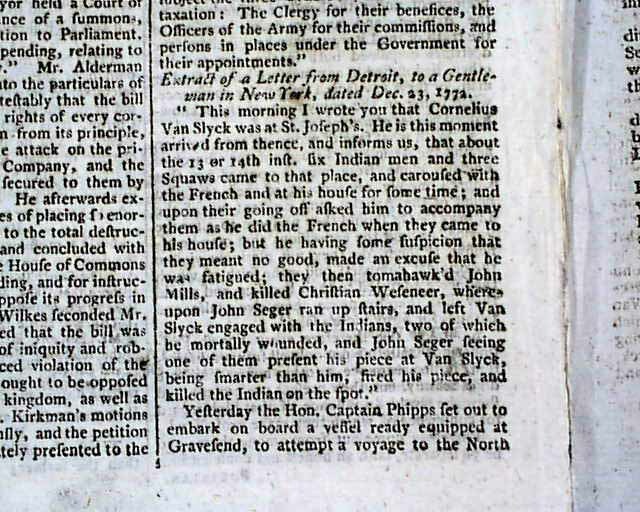 The same page has a letter from Detroit which mentions an unfortunate encounter with Indians (see). 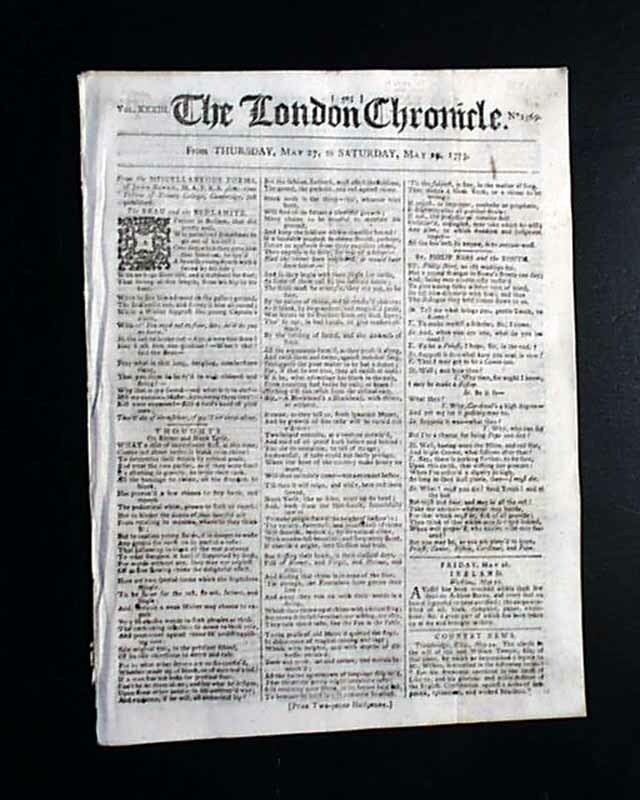 Eight pages, 8 by 11 inches, very nice condition.